11-Jan-2019: In nature, certain molecules with the same chemical composition, can exist in two different shapes that are mirrors images of each other, much like our hands. This property is known as "chirality" and molecules with different chirality are called enantiomers. Enantiomers can exhibit entirely different chemical or biological properties, and separating them is a major issue in drug development and in medicine. 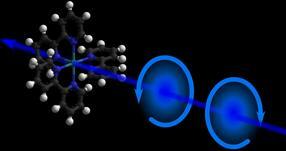 The method commonly used to detect enantiomers is circular dichroism (CD) spectroscopy. It exploits the fact that light polarized into a circular wave (like a whirlpool) is absorbed differently by left-handed and right-handed enantiomers. Steady-state CD spectroscopy is a major structural tool in (bio)chemical analysis. During their function, biomolecules undergo structural changes that affect their chiral properties. Probing these in real-time (i.e. between 1 picosecond and 1 nanosecond) provides a view of their biological function, but this has been challenging in the deep-UV spectrum (wavelengths below 300 nm) where most biologically relevant molecules such as amino acids, DNA and peptide helices absorb light. The limitations are due to the lack of adequate sources of pulsed light and of sensitive detection schemes. But now, the group of Majed Chergui at the Lausanne Centre for Ultrafast Science (EPFL) has developed a setup that allows the visualization of the chiral response of (bio)molecules by CD spectroscopy with a resolution of 0.5 picoseconds. The setup uses a photoelastic modulator, which is an optical device that can control the polarization of light. In this system, the modulator permits shot-to-shot polarization switching of a 20 kHz femtosecond pulse train in the deep-UV range (250-370 nm). 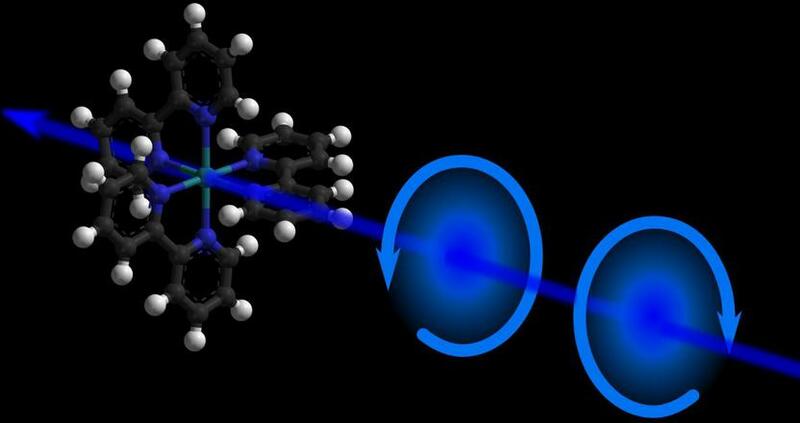 It is then possible to record changes in the chirality of molecules at variable time-delays after they are excited with a short laser pulse. "Amino acid residues and DNA bases absorb light below 300 nm," says Malte Oppermann, the paper's first author. "This set-up is the first to cover this region, and we successfully tested it on a model molecular system. Our next aim is to move on to larger biosystems, like DNA oligomers."